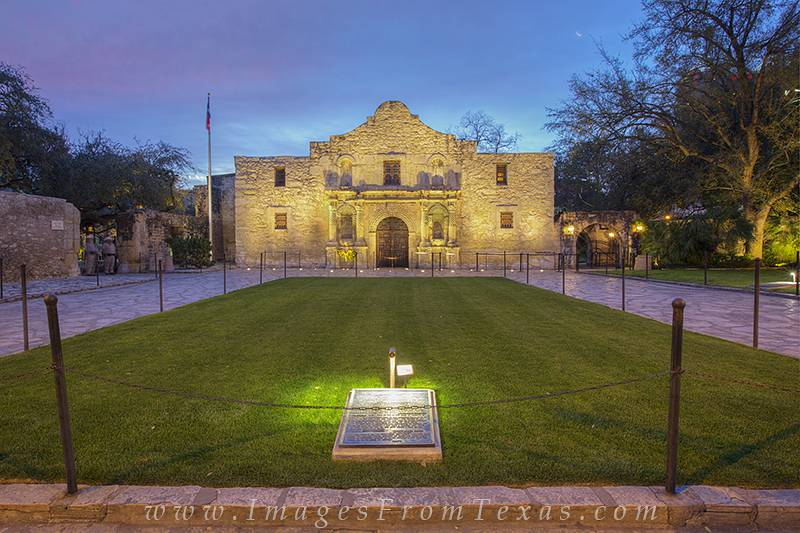 In the soft light before sunrise, the Alamo stands as a beacon for Texas independence and pride. If you look closely, you can see the floodlights creating tombstone shadows on the second floor wall of the buliding. I'm not sure if this is purposeful or not, but their presence creates an eerie and powerful remeinder to those who gave their lives. Photo © copyright by Rob Greebon.